Hey friend! Welcome to our very first “Faith Post Friday”! I am so glad you’re here!! My name is Jennifer and I have been with My Journey of Faith since 2013. I’m really excited about launching the first series of posts for this new Faith Post Friday adventure. 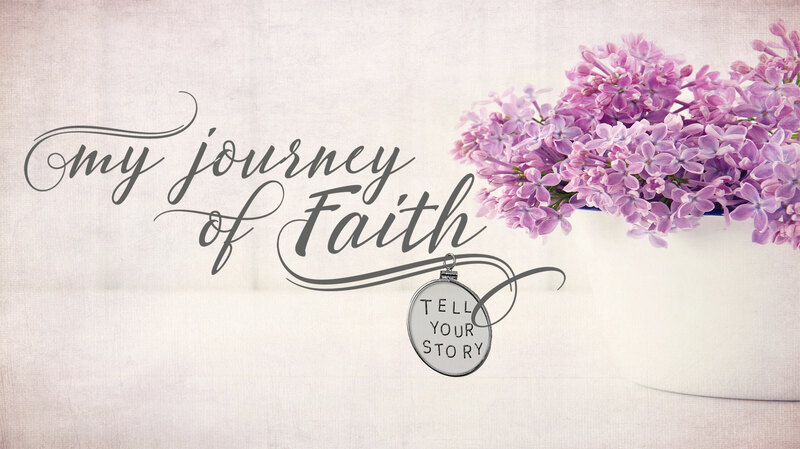 So here’s how it will work…each month a different “My Journey of Faith” team leader will choose a topic to write about. Every Friday, you will see one of us posting to the blog about our topic. The idea for this month’s topic came pretty easily for me…invisibility. I’ve spoken to a lot of women recently who have told me they struggle with feeling invisible, unseen, lost in the struggle of life. I admit that I have had my own seasons of feeling invisible. One of those seasons is motherhood. Parenting can bring on the cloak of invisibility real quick. Now don’t get me wrong, being a mother is the most amazing gift God has given me. It truly is a privilege. In fact, I tell my kids often that it’s a privilege to be their mom. I don’t even want to imagine my life without them. That said, let’s be honest…being a mom is hard. It can be very lonely. But how is that possible when us moms are rarely ever alone?? Feeling isolated while not technically being isolated is a strange thing. I am always surrounded by people (mostly under the age of 12) so what is my problem?? I shouldn’t be lonely right? Turns out that constantly being needed by the little people in my life can pull me into isolation without me even being aware that it’s happening. Can you relate to this? If you’ve ever eaten chocolate alone in your bathroom while scrolling through facebook just so you can have a mental break, then you most likely know what I’m talking about. You crave real friendship but that takes work (something you’re tired of doing) and it takes time (something you don’t have). But you know you need connection with other women. And there lies the struggle. Motherhood comes with a lot of different responsibilities. You rush around and you give and you work hard, and you do all the things and you wonder if anyone really sees you. Working Mamas….some of you wave goodbye to your precious kids and then cry in the car. Then comes the inevitable wave of mom guilt (ugh, mom guilt is the worst!). You work all day and give so much of yourself and then you come home and give even more. You’re constantly feeling torn between two worlds. You doubt yourself and wonder if you’re making the right choice. After a while, this emotional roller coaster leads you to isolate yourself because there’s just no more time left in the day. The core of you LOVES these moments with your precious tiny humans. I know you do. You’re a great mama!!!! But when you do this over and over and over and over, the burnout is sure to come. I remember playing playdough with my toddler and fighting back the tears because every day felt the same. It felt like I had disappeared from the world. Diapers and Laundry were my world. And then I felt guilty for feeling that way. I knew it was a blessing to stay home with my kids and I had made that choice, but staying home is not easy. Working outside the home is not easy. Motherhood is not easy. There is no easy path for parenting, because anything in life worth doing is hard. My kids are 11 and 8 now. My journey of motherhood has evolved and changed, but the basic struggle is still the same. I sit in a long line of school traffic and I wonder if this is all I was made to do. Making lunches, fighting traffic to get to soccer practice, throwing meals together, endless housework. Wake up and repeat. I get lost in it. I feel unseen in it. I offer all of myself until I don’t even know who I am anymore. Does God see? Does He see that this is hard for me? Does he see that as I watch my kids grow, I am struggling with my own childhood memories? Does He see that I long for a mom to show me how this is done? Does God see how much I long for a genuine friendship? Does He notice I’m burned out and worn out and I feel like giving up? God is a God who sees. One thing I have learned in my almost 12 years of being a mom is just because you “feel” something, doesn’t make it true. I have to repeat this to myself often. Just because I feel invisible, doesn’t mean I am invisible. I may feel as if I’m lost in the struggle of life, but I am not lost. Jesus sees me, He sees you. Through these moments of losing yourself and feeling unseen, God is doing some of His most beautiful work. He’s molding you and shaping you into a woman of depth and character. And any beautiful work that God is doing, it will be opposed. We have an enemy and he is a liar and a thief. He wants you to believe you are invisible, worthless, unimportant, unseen. The truth is you are doing very important work and God sees that work. God esteems what the world does not and He esteems you, precious mama. Mothers are invaluable, priceless, precious in God’s eyes. Not only does He see you…He tends to you and leads you. As you reflect on this truth I also want you to know that we at My Journey of Faith see you. You are not alone. You are always welcome here. Much love to you as we go through this journey of faith together.